Researchers from the Bartlett to create a model containing data on every domestic and non-domestic building within the M25 for the Greater London Authority. The Greater London Authority has commissioned a team from University College London to develop the London Buildings Stock Model. The work will be carried out by groups at the UCL Energy Institute and the Centre for Advanced Spatial Analysis, both in the Bartlett Faculty of the Built Environment. The model is to be used by the GLA and London Boroughs to tackle fuel poverty and improve the energy efficiency of the capital’s housing stock. It will support Boroughs in their enforcement of the Minimum Energy Efficiency Standard (MEES), which has just come into force. It will allow poorly performing non-domestic buildings to be identified, and will help small and medium sized entersprises make energy improvements to their premises and reduce their energy bills. The model will contain data on every separate domestic and non-domestic building in London out to the M25 motorway. Information will be included on the sizes of buildings, the premises and activities that they house, the materials from which they are constructed, and their servicing systems. Data on energy use will be attached to premises and buildings, either actual consumption where known, or estimated consumption according to Energy Performance Certificates. The data will be presented in 2D map form via a web interface, and will provide three-dimensional information about buildings including their heights, volumes, wall areas, and the distribution of activities between different floors. 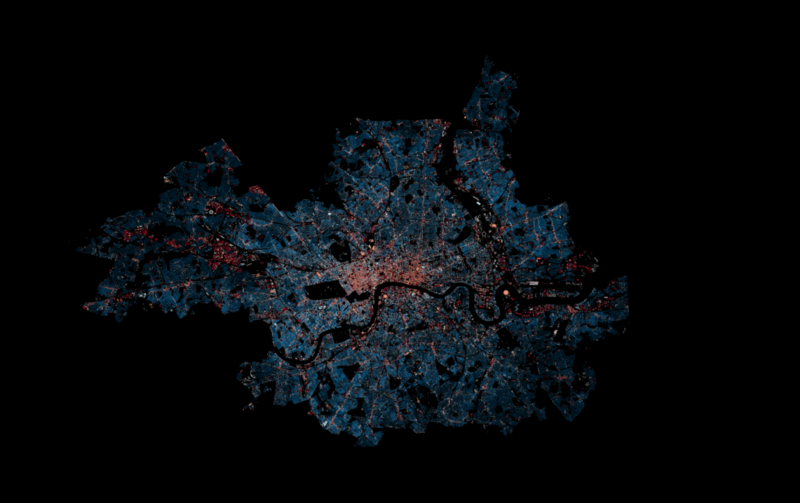 These data will be drawn from the Energy Institute’s existing 3DStock model of London. Find out more about the 3DStock model. For more information contact Stephen Evans or Agnieszka Griffin.